For opening hours information, please contact SmartCentres Val-d’Or directly. SmartCentres Val-d’Or offer more than 1 brand name stores. SmartCentres Val-d’Or is located in Val-d'Or, Quebec - 1855, 3e Av, Val-d'Or, Quebec, J9P 4N7, Canada (GPS: 48.094817, -77.839171). Look at the list of stores in SmartCentres Val-d’Or, hours, location and information about mall and special events, sales, coupons. You can choose store from list below and get detail information - other stores locations for the brand, location, shopping hours, phone, map, directions contact. SmartCentres Val-d’Or is one of the best shopping place for spend your free time - mall/shopping center has all types of stores - outlets, department, fashion, traditional and more. Have you ever visited SmartCentres Val-d’Or? Do not forget to write shopping review and rate your satisfaction. SmartCentres Val-d’Or is 266,533 square foot shopping centre. 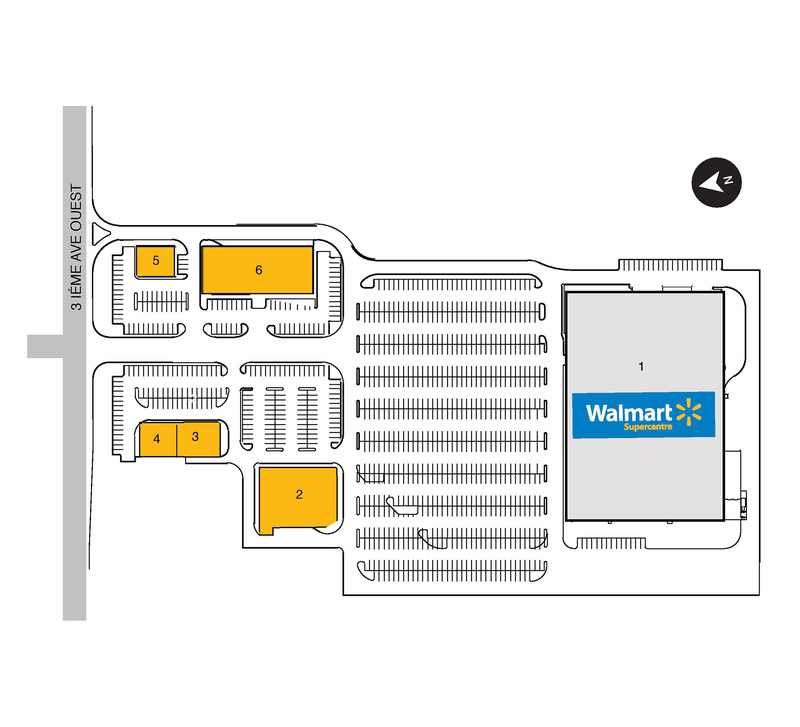 The center is anchored by Walmart department store. SmartCentres Val-d’Or is situated on 34 acres at the intersection of 3e Avenue Ouest, West of Boulevard Barrette in Val-d’Or, Québec. Give us your experience with SmartCentres Val-d’Or by writing a short review.